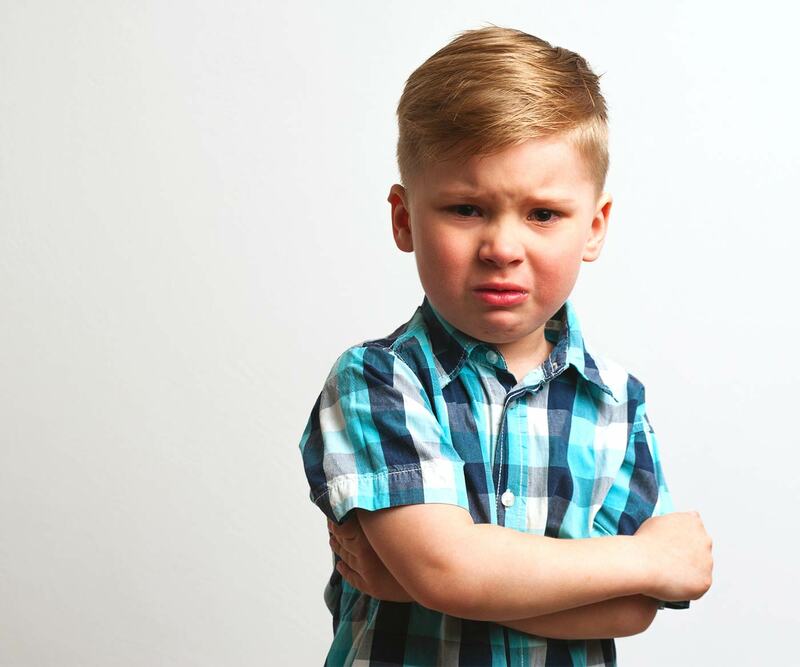 Frustrated when your child disobeys on purpose? Learn how to discipline a toddler who doesn’t listen and encourage cooperation instead. “It’s clean up time! Can you put the cars back in the box?” I asked my toddler. I had been trying to implement a clean up routine after play time, starting with all the toys strewn all over the floor. Except my toddler wasn’t having it. He stayed put, playing with the cars, as if he didn’t hear me. I had hoped my tone of voice would lend some weight to its importance, but instead he stayed rooted in his place, playing with the cars. Not only that, a smile spread through his face, as if the whole thing was a big joke. Dealing with a toddler not listening to what you ask him to do is challenging even for the most patient mom. The defiance triggers a raw anger you never knew you had, and you wonder what it’ll finally take to get him to listen. No matter how angry you get or the threats you make, nothing seems to get him to cooperate. Then you feel terrible when you realize how petty the initial “argument” had been: talking when he should’ve been napping, refusing to clean up his mess, not coming to the bathroom like you asked him to. I knew something had to change. Nagging, repeating, and losing my temper clearly wasn’t working at all. I was at a loss on how to discipline my toddler. I then learned an important lesson in what discipline really means that changed my whole outlook and my toddler’s behavior. You see, most people think of discipline as punishment or time outs—the consequences that happen when children don’t do as they’re told. But discipline is actually something different. Discipline is teaching. We’re teaching children how to behave and helping them understand and express their emotions. In the past, I’d launch into power struggles and feel—let’s admit it—threatened when my toddler wouldn’t listen. But when I focus on discipline as teaching, I’m forced to ask myself what he needs to learn instead. What teachable moment can he gain from this? What new habits, values and consequences does he need to learn from this challenging behavior? Better yet, I learned several techniques that helped make my son less likely to deliberately disobey. While I still maintained authority, I reduced the power struggles that had plagued our interactions before. Your toddler is more likely to take you seriously. A common scene in many homes? You’re trying to be serious with your child except he thinks the whole thing is funny. Get down to his level so you’re making eye contact and phrase your instructions in a calm but firm tone. You’re being more respectful. Children can feel “talked down to” when we’re speaking to them from high above. Kneeling to your toddler’s level forces you to speak more respectfully and address his needs. You avoid power struggles. Your toddler feels heard when he can see and talk to you eye-to-eye. By speaking to him at eye level, he gets less defensive and more likely to oblige. Try this and you’ll see his body relax as he becomes more willing to comply. Kneeling down to your child’s level will help him take you seriously and feel respected. Defiance seems to be everywhere. You see it when your child refuses to come to the table to eat. Or when he should know better by now not to jump on the bed (especially after you’ve asked him not to many times before). But kids don’t usually misbehave to make us angry. Go further and you might see your child was trying to fix a toy right when you asked him to come to the table to eat. 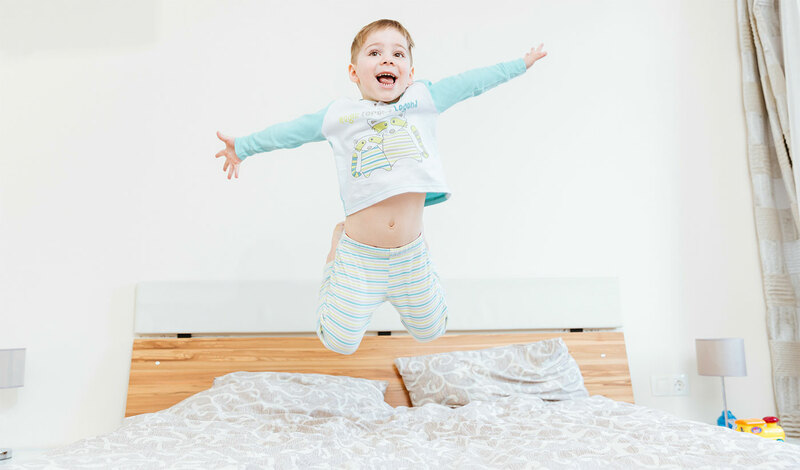 Jumping on the bed wasn’t rebellion, but excitement over his new toddler bed—one he was unaware or unable to contain. For instance, I asked my toddler to move a little so he’s not bothering his brother by sitting too close to him. He stayed put, so I tried again, “Can you move so your brother has some space?” Still no response, pretending not to hear me. I then asked myself if there could be another reason he didn’t want to move, and I realized he wanted to stay close to his brother. I then said, “You want to play near your brother, don’t you? It looks like he’s having fun and you want to do the same thing.” Only then did he move after I had acknowledged his underlying intentions. Before laying out consequences, acknowledge and show empathy with how your child feels and why he’s not listening. Maybe he felt tired from a long day, needs your company, or wants the same toy his brother is playing with. Dive into his mindset and look for the reason behind his actions—he’s more likely to comply when he feels understood, not attacked or scolded. Learn the one question you should always ask before disciplining your child. Have you ever told your toddler she’d better behave or else [fill in the blank]? Not only are false threats ineffective, they’re also rarely implemented. Consequences that tie to your toddler’s behavior are learning experiences, so long as you follow through. Putting your foot down establishes limits she needs. And keeping your word reinforces the trust your toddler places on you. While you may not win short-term favor, you’re gaining her trust when you follow through consistently. Otherwise, she learns she can continue to misbehave because the consequences you claim will happen never do. And if you struggle with getting your kids to listen, you’re not alone. Unlike typical parenting advice you may have tried without success, getting kids to listen starts with changing how we communicate with our kids. “After reading your download, I started implementing the tips—I’ve seen a difference in his behavior already.” -Emilly V.
Spending time with our kids can feel draining, but more so when every interaction leads to a fight. We watch them like a hawk, ready to correct at the first sign of misbehavior. Sometimes though, we need to pick our battles and decide which behavior is critical to correct, and which ones aren’t as important. Not everything has to be a battle. While consistency is key, we also need to allow for flexibility and make room for the nuances of life. Ask yourself if what you’re arguing about truly matters, especially in the long run. I had fought long and hard with my toddler because I wanted him to wear jeans while he wanted to wear shorts. It makes me cringe just thinking about it. Now I ask myself how important it really is. Some behavior, like hitting or being consistent about putting toys away, do deserve our attention. But many of our arguments are petty and best let go. Another simple way to let things slide? Help your toddler “save face” after he disobeys. Keep your tone lighthearted and calm instead of bossy and “mean.” Your toddler will be less likely to drag his misbehavior and sour mood even further when you’re willing to pick your battles. Encourages kids to own the task. Putting on a jacket won’t seem like Mom’s Terrible Idea I Must Rebel Against. Instead, your toddler gets to decide between a green or gray jacket. Reduces conflict. I’ve avoided many tantrums by drawing attention to the choices my kids can make, not the task they’re resisting. Empowers kids. Your toddler is under the rule of adult decisions nearly all the time, making choices allows him to voice his opinions. He’ll embrace his choices and will be more likely to follow through with them. Shows we value kids’ opinions. Adults make most of the decisions in the house, but we also offer kids choices because we care and respect their decisions. Helps kids think for themselves. Giving choices allows your toddler to assert himself and develop critical thinking skills. He’ll hold himself accountable and decide which option he’d rather do. Fair warning: Offering choices can backfire when not done correctly. Your toddler might demand choices when there are none (especially when you offer them often), or pick an option you don’t like. The trick is two-part. First, limit how often you give choices (some choices aren’t his to make). And second, offer a choice between two parent-approved options, either of which you’d be okay with. If your toddler refuses to put his jacket on, phrase the request as two options that lead to the same goal. You might say, “We’re going to grandma’s. Which jacket do you want to wear—the green one or the gray one?” Don’t say, “Do you want to go to grandma’s or stay here at home?” especially if you don’t plan to have him stay. Turns out, we’re more likely to comply when we have a reason. Rather than hearing what to do or not do, kids are more motivated to comply knowing why they should. In a world dominated by adults, kids can feel resentful being told what to do all the time. Imagine following rules you don’t always understand, or doing things you don’t feel like doing. They wonder if we’re abusing our power and bossing them around. But giving a reason takes the parent out of the equation and focuses on the task that needs to be done. You’re not the “mean mom” who bosses her kids just because you can. You’re letting them know why they need to do what you asked them to. And with the reason front and center, you’re also less likely to sound bossy. Your words will carry a respectful tone as you explain the reasoning behind your request. Kids thrive on attention, whether good or bad. Unfortunately, arguments, yelling, and scolding are types of attention they’d rather have than none at all. The best way to counter misbehavior is to praise your toddler and give him attention when he is behaving. Maybe you saw him treating his little brother kindly. Point that out and say, “You’re so kind—you made your brother happy when you shared the blocks with him.” Or give him a high-five after he puts his dishes in the sink, all without you asking. Deep down, kids want to please their parents. They want our approval and are crushed when we’re disappointed or angry with them. Use that to your advantage and praise your toddler when he behaves well. It’s one thing when your toddler throws a tantrum or hits his brother, and another when he flat out disobeys you. Encourage him to listen by acknowledging his emotions and intentions. Get down to his eye level and calmly but firmly explain what he needs to do. Explain why, and even give parent-approved choices of how to do so. Pick your battles to avoid power struggles and help him “save face.” Follow through with consequences, and praise him when he does what you asked him to. All those moments of positive reinforcement are much more effective in the long run. And yes, you’ll have off days, just like everything with parenting. 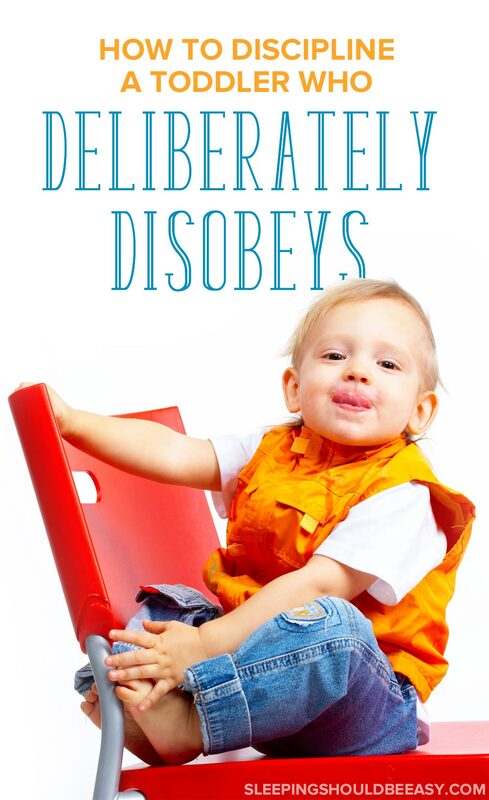 You may be able to help your toddler behave more only for her to deliberately disobey once again. There’s no magic bullet—we’re all human and prone to bad days, including our kids. But discipline isn’t about being strict or doling out punishments. Instead, it’s teaching your child to behave, manage emotions and cope with difficult situations. Discipline with the intention of helping your toddler learn from the experience. Even as he sits and smiles, refusing to place the toy cars back in the box. Have you ever wondered why you can’t get your kids to listen? Why they literally ignore you and run off laughing? Why you have to say the same things over and over just to get a response? Or why you need to raise your voice just to get them to stop doing something? As you’re likely starting to realize, the nagging, threatening, or shouting aren’t sustainable—nor enjoyable—ways to get your kids to listen. Worse, this kind of interaction is starting to damage your relationship. Thankfully, you’re not stuck—all you need are the right tools to get you back on track. 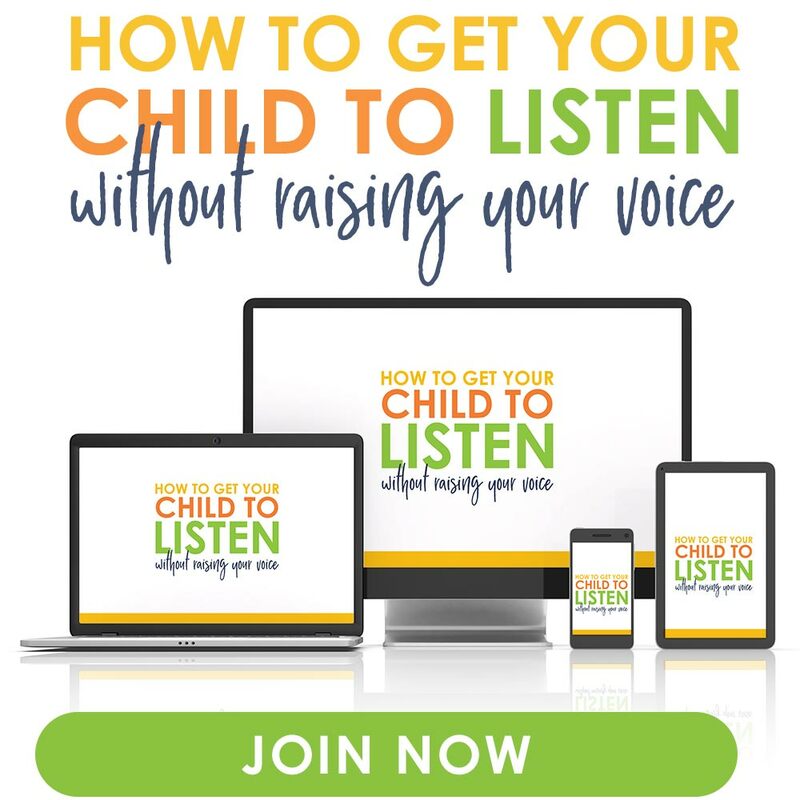 In my 3-part online workshop, How to Get Your Child to Listen, you’ll learn exactly how to get your kids to listen. All without resorting to losing your temper or raising your voice. It really is possible. 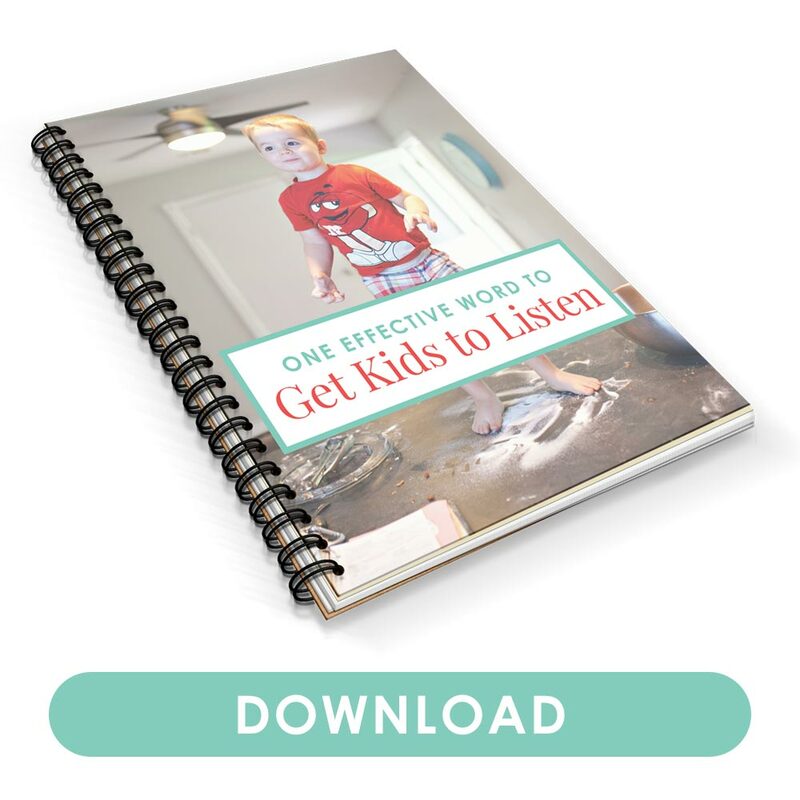 This Listen Workshop is a must for every exhausted parent ready to turn things around! Liked these tips on how to discipline a toddler who doesn’t listen? Share it on Pinterest and Facebook! My almost-2-year-old has been reacting to being told “no” with repeating the behavior for the reaction. So at dinner when I was getting pelted with cucumbers, I was trying to just not react. It either worked, or he was out of cucumbers. This is hard! Thanks for the tips, I’ll take all I can get. Courtney, LOL! I hope it’s not because he ran out of cucumbers. You’r missing an opportunity here. Your child is asking you where the boundaries are and your lack of response in this situation (though effective in some situations) is telling him there isn’t a boundary and admitting defeat. What if you were in public, or had company over and your child threw things at another person? You could not insist that the other person ignore the action and take the abuse. You will also likely feel embarrassed when everyone else sees that you don’t know how to handle the issue. Simply taking the child out of the seat and making them wait awhile before being allowed to finish their meal is usually effective. Ten minutes will probably be long enough for a small child. If the action is repeated when you put him back in his seat, he should be done with that meal for good. Always be sure your child is sufficiently hungry, or has asked for food, before you give him a meal or snack. If he throws a temper tantrum, he should spend a few minutes in a port crib (or other suitable spot) in the other room (where his screams are ineffective). Only bring him back into the room, when he is quiet. Another option, which can be used before removing them from their chair, is a small flick on the hand with a stern “no”. It is not painful, but lets him know his actions are unacceptable. I promise, with the correct actions, it will only take a couple of days before this is no longer an issue and your child will have more respect for you as well as a sense of security because he knows where the lines are drawn. When he makes it through a meal with good behavior, praise him. Others will praise him too, give him smiles, and tell him what a good baby he is. It will be very rewarding for you both. This is the best advice I have seen. Thank you for this. Is a flick of the hand advised? Isn’t this teaching the child that hitting is a way of dealing with emotions and actions we don’t like? What happens when he hits/flicks/swats his peers at daycare or play dates? Are we supposed to then tell him no hitting while we are doing the same? I’m not criticizing I’m genuinely asking. What’s the right thing to do here? I am no expert just a mama trying to understand? Hi Nikki! I don’t recommend flicking the hand, exactly for the reasons you said. It’s saying one thing but doing the other. I would show empathy toward the child, regardless of how crazy the behavior, because there is a reason he did what he did. Then I would correct the behavior, showing different ways to say the same thing without hitting or getting upset. I hope that helps! I’m not sure if Des is a toddler anymore! He’s three. But I still really see these tips working with him. I do have to follow through with consequences. I can definitely be guilty of saying I’ll do something and not doing it. I love the idea of getting to their level and showing empathy. I hope I do that! There really isn’t a definitive age for toddlerhood is there? I figured once they go into preschool then they’re technically preschoolers maybe? WE are out of the toddler stage, but my kids still ignore me on occasion. My youngest (5) is the worst for cleaning up. He frequently says he’s too tired to clean up, so I send him to bed. I tell him he can either clean up like a big boy or he can go take a nap if he’s too tired. It works about 85% of the time! Haha we do that too Rabia! When our eldest is sluggish or complain-y, we’ll say he can do XYZ or take a nap. He never does but at least it does frame the situation differently. These are great suggestions. I hate yelling, though it’s in my nature. Trying to control that impulse has been a real struggle for the last several years. Recently My three year old started to get goofy after dinner…and we’re talking about running around, rolling all over the floor, shouting just to hear her own voice, and ignoring every single instruction she’s given. It’s maddening. I’ve found that it sometimes helps to give her a limited opportunity to get her energy out (“Okay, you can jump 10 more times and then no more jumping for the night” “You can shout 5 more times and then the shouting is all done”), but the most important aspect is staying calm about it, like you said. Glad to hear that giving her a few more chances to do it has helped. We do something similar like if my kids don’t want to get out of the bath, we’ll say, “Okay one more pour!” and they’ll do one more pour of water out of their stacking bowls, then they know it’s time to get out. These are great tips, even for big kids. I still ask “why” I feel there has to be a reason or at least I want to give the kids an opportunity to explain themselves. Sometimes as a parent it’s easy to “discipline” before knowing the whole circumstance, I don’t want to do that. I feel there’s usually a reason for an action. However, now that the kids are older I do not take “not listening” they are big enough to know I mean what I say, and they need to listen. I do praise when the kids do what is asked of them 🙂 Great post, Nina! Thanks! And big props for understanding and trying to find the reason they acted up. I find that this is so key for me. After all, discipline is teaching kids how to behave, not just the ‘punishment’ or the consequences. And if we don’t know why they’re acting the way they did, we can’t help them figure out how to behave or express themselves better. Explaining the reason works wonders with my kids, as does giving them something positive they can do instead. Redirecting is key, for sure! I certainly have lots of this to deal with in my house. Our daughter is defiant these days! Good reminder to speak on her level and guide her. I forgot how to do that since I’m always just yelling out instructions to my 5 year old ;). Glad the post helped remind you Lisa! Thanks, Gingi. I hope all works out well with your little girl! I wish more parents stayed calm with their kids. I see so many of them let the little things start to add up then finally lose their temper when they’ve had enough. What kind of a lesson is that for kids? Great tips, Nina! Staying calm is definitely hard, Allison. I know it took a lot of introspection for me to keep my cool! i am in disagreement with this post. Your suggestions seem to give the child the impression that he or she is in charge of the situation and they are not. If a child ignores a parent (or grand-parent), that is an act not only of defiance but of disrespect, and should not be allowed at all. Hi Kathy, thank you for your comment! I actually do agree that a child ignoring a parent isn’t a good thing. It’s one the ways kids deliberately disobey their parents and shouldn’t be tolerated. Then what do you do next? Respecting us,is an issue with my 2 1/2 yr old. Then if you need to take something away or have another form of consequence, make sure to follow through. Try to tie it in with his actions as much as possible. For instance, if your child threw a heavy toy he (or she?) wasn’t supposed to, take the toy away for the day, explaining he’s not ready to play with it yet. Another useful tip is to catch him when he’s behaving well. Kids do much better with positive praise as a preventative measure. Connect with him as often as possible when he is behaving so that he knows this is the behavior you support. And lastly, this is all normal. I also have a two- almost three-year-old who is almost every day a grump, doing something right after we just told him not to. So I totally understand the frustration and when they don’t seem to respect us. There’s no magic formula that makes it go away suddenly. Instead, we just keep parenting with empathy and trying to catch them when they behave and generally giving them the guidance they need when they’re going through a rough spell. Hi I found your website after slight battle and teaching my 26month old! She is totally disrespectful to me and was not listening! I try to keep calm I try to speak to her and explaining that not listening and not helping mommy to pick up toys makes mammy upset ! Although she says sorry for making me feel sad she still will do it again. So I asked her does she likes mummy be sad and answewas yes!! So I am baffled! What to do! I said I will give her toys away she even suggested the boys name whom I should give!! Well I said fine !! So not sure what else to do I left her room and tried to find some info how else I could teach my toddler respect me and listen!! I am patients of steel and normally carry out cocequencies and if I say no that’s means no! She knows that !! I tried to speak to her at her level she just ignores me and laughs!! I have few minutes and daddy was supportive and said that mummy is sad that you not listening and to pretend I started to cry so she got upset and did not wanted to see mummy crying!! She apologized and said she would’t do it again and will listen to mummy!! Will help! I also apologized and give lots hugs and kisses !! She was quite good and after few minutes she started to asked to give her favorite toy . I reminded her that she gave away!! So she said I am a good girl. I am sharing my toys!! I said yes it’s very kind of her do we will ask the child to give back if she will listen mummy!! So I am slightly baffled what else I can do just wait and hope it will pass and she will be more meanable and Lear to listen? I feel I need to teach her early to respect her yoys and adults. I can definitely understand the frustration of your child doing the same thing after you had just asked her not to. I’d stay away from making her feel guilty, especially with pretending to cry. Instead, use the moment to teach her why you need her to pick up her toys. And yes, follow through with consequences, though if you don’t want to part with the toys completely, even confiscating it for the day is enough I think. Another thing is to ask yourself how you would feel if you were in her shoes. That way, you can be in a better position to figure things out like the best tone of voice to talk to her, the best time to ask her to clean up (maybe not right when she’s in the middle of playing, for instance), and perhaps phrasing it in a way as her helping you as opposed to simply being ordered or asked to do something. Great article! My almost two year old has quite the mind of his own and these are great tips. I always give choices and I am big on saying why, but in some instances with him I don’t think it even crossed my mind to tell him why. This is also the second article I two days that I’ve read that talks about empathy and validation, I think it’s a sign lol! Thanks Amanda! And yes, empathy and validation are huge game changers. You can see your kids just relax and feel so much better instead of defensive. Works like a charm! Hi Nina! I have 4mth old twin girls, So they’re not quite there yet. But my older children are another story! I really like all your points. They’re so important. I’ve been focusing on 2 of those ideas, the natural consequences and explaining the reason. I thought to myself the other day, as adults we want to know the reasons behind things so we have peace and understanding so maybe my kids will be more at peace and obedient if they understand my reasoning. Love your post and your blog! Thanks so much for your kind words, Jeniece! I think the reasons thing also works because then they feel a bit respected too. It’s not just us being mean to them lol. And so nice to meet a fellow twin mom! That’s true, I didn’t think about the respect aspect. Nice to meet you too! Completely agree 100% with absolutely everything here. I do all of these, but I rarely have to go past #2. Just acknowledging their feelings and explaining why things need to be done a certain way is often enough to get them to do what you want them to do. No screaming involved. It nurtures respect and communication. Yes, it takes a lot of self control, yes, it would be nicer if they were robots and just obeyed instantly. But if you do all that’s above, things are much easier overall. Yup Julie, and I think that’s what’s important to remember: them acting like obedient robots isn’t the option we want. Acknowledging and explaining go a long way! I work with the toddler age and it is so frustrating when they ignore you. Getting down to their level and following through on your word is key. There are times l almost loose it but I manage to remain as calm as possible if the child can talk and they say to me in a “sassy sarcastic” tone ( yes even as young as 2years) “Oh whatever”, when they are asked to do something or you are wanting their attention. Toddlers are button pushers for sure and we as adults need to remain calm but firm with what we expect of the child. In my experience over the past 16+ years working with children they respond to you better if you are persistent with then in a calm but firm way. Children thrive on consistency and need guidance to see things through at this young age. I love all of this, Natasha! Wise words indeed. We definitely have to be calm and consistent. I’ve noticed a huge difference when I don’t raise my voice and instead speak calmly and firmly. This is solid advice. Do you have any suggestions for what to do if you have three children and one won’t clean up? We can’t take toys away from one without penalizing the other two. Thanks! I’ve run into this problem as well. Usually when I need to follow through with consequences, I try to find something only that child holds dear and take away that privilege until he cleans up. I would also give more attention to the other two who *are* cleaning up. Kids gravitate towards positive attention, and that one child may be more likely to clean up if they know that’s where the attention is going. And lastly, when you do catch your child helping out even in the tiniest way, praise them a lot. That way, they know this is the kind of behavior you approve. While some if the information in this article is very good, like not allowing your child to get away with the behavior it still misses the mark in some ways. For example giving a toddler a choice or asking their permission is confusing for them as it is too open ended. They need you to give them firm direction and guidance. Do not ask them “If they would like to…” or “Can they please…” A defiant child will almost always refuse on principle instead give them firm direction like “You, need to move please.” Or “Close that.” When they still refuse I say “You need to listen to Mom,” followed by the direction, until it is obeyed, an outright refusal warrents a time out. Choices can be taught at a later age but only after they clearly understand that your authority is to be heeded. Hi, I am a mother to 4 boys and one girl. A grandmother to 8. I have don home child care for 32 years. I know your frustrations with asking children (really of any age) to do something and being ignored. The one thing that I have found to work really well is the two choices. You mentioned your son sitting really close to the other and wouldn’t move. I would ask the child who won’t move if they want to sit in this spot that is just a little ways away from brother, and the other choice would be across the room. They are given a chance to still be in control of themselves, but the two choices especially for toddlers is really good. Sometimes the 2nd choice can be not so fun and the other the one you really want them to choose. BUT, it is still giving them the chance to be the boss of their choice. Motherhood is so very challenging, so glad we are all in it together to help each other! Jennifer thank you, that’s a great tip to add! I love that they have the chance to be in control of themselves, especially when presented with a choice. I’ve also done what you suggested about giving them a choice between a “fun” option and a not so fun one. Sometimes it’s really the only choice they have. For instance, if they complain about not wanting to take a bath, their choice is to take a bath, or go straight to bed without reading books. I’ve been practicing this for awhile now with my 4 year old and I get mixed results. Some days she complies others she continues on and its infuriating. Still trying but not that successful with mine. Thank you for posting this advice! I’m new to this momma thing- never even been around kids much. My daughter just turned one and has been in this “testing” phase for some time. It’s very hard not to show my frustration, and I know I need a better way. There are many different theories on this, but yours seems to make the most sense. I am eager to try it. Thanks again! Wonderful advice! I’m a mom of 7 (oldest is 18) and it seems that sleep deprivation makes me forget all the wonderful things I’ve learned about toddlers. LOL. I’m going to share this with my peeps tomorrow. Thanks. Thanks so much for sharing, Carrie! And yep—more often than not, they just need us to help them get through their frustrations, not fight with them about it. Great article Nina! Your heart for your children is evident in the way you guide them, especially through discipline. Thanks for sharing. I’ll be sharing this article with others. And it doesn’t help with the parents who want to be their child’s friend vs a parent watching your every move and ready to call the cops soon as you even verbally correct you own child. He came to my job and a former manager was holding him and he was pulling her hair, I told him no, and she’s like oh its ok, he only a baby. In my mind, I was like when is he suppose to learn then? when he’s grown and in jail because oh, he’s just a toddler, or oh, he’s just a kid, or oh, he’s whatever. Meanwhile, if he pulls my hair, I pull his back, very lightly I must say before someone has a coronary episode, just enough so he sees it’s not fun. 3 or 4 times and he hasn’t pulled anyone else’s hair, yet. Same with biting, broke my little sister’s biting habit that way. Rather get it all under control now, before he starts school and I’m getting phone calls every day. That 11-month-old stage is definitely very precocious! It’s a balance of getting it under control now while also allowing for flexibility and being aware of age-appropriate behavior. It can be infuriating when they do things that seem to amuse them more when we see us upset. When they pull those stunts, I’ve found that being matter-of-fact is the way to go. When we get angry, it’s almost like the reaction they want to see. And I don’t recommend the “let me do that to you” bit (e.g. pulling the hair) because I don’t want them to think it’s okay at all. They should know it’s not okay to pull hair because parents have taught them that. He is a baby and doesn’t realise he is hurting others pulling their hair or realise he could get hurt. Never pull a child’s hair. I agree, Melanie. At that age, kids are more driven by curiosity. Same thing when parents smack their kids’ hands or bottoms so they know how it feels. I find it’s more effective to understand their age and stage and deal with the behavior itself. What you say is all well and good, but my child (3 years old) doesn’t care about consequences. If I say I’ll take the toys away if she doesn’t put them away. She’ll respond “ok, take them”. Now she’ll even say “take my toys away” whenever i ask her to clean up. There is not a single aspect of our day that is nice, maybe he one minute of our day in the morning, after I wake her up (if she slept in). We can be having fun, then she’ll switch all of a sudden, it’s like, oh I was doing the right thing and listening; I better break or destroy something. Or do something wrong. I have no more patience anymore, it’s the same thing every single day, all day. I’m 34 weeks pregnant, I’m all alone. I’ve tried every method to get her to listen. Going down to eye level. Whispering. Reward charts for good behavior and doing things without too much difficulty;like coming home from school, getting dressed, eating, having a bath, etc. nothing works. First, *big hugs* Being 34-weeks pregnant with a three-year-old is no easy feat (happened to me too when I was pregnant with the twins!). It was actually around that time when I began to lose my patience way more than I ever had in all my eldest’s first three years. It’s not easy, for sure. And if you’re alone with him on most days, it makes it even harder. You are doing a great job for even trying so many things to see what works. That in itself is admirable. It’s also likely that your daughter is acting up *because* you’re expecting a new baby. 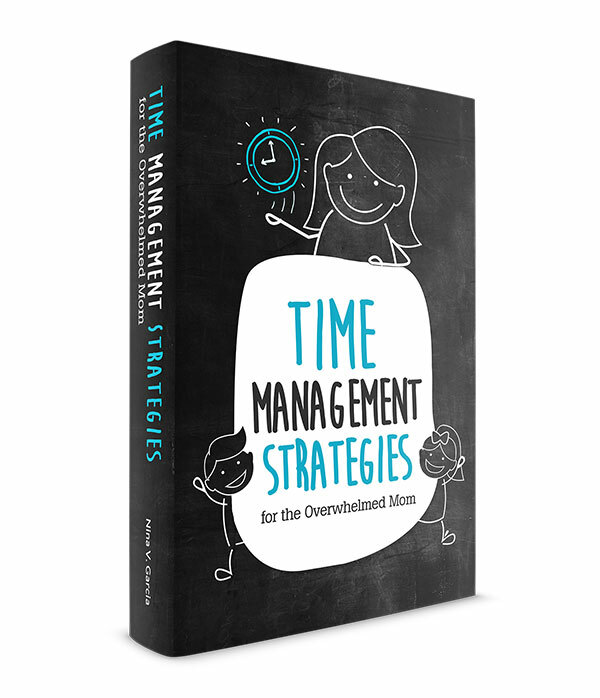 It’s not uncommon for kids to switch gears and test our patience during the later months of pregnancy, right when they can see a noticeable difference, when we’re making changes around the house like setting up the nursery, or when we’re at our most tired. The first thing I would suggest is to change your mindset from threats and punishments to helping her cope and learn from the situation. I find that when I’m in “threat” mode, I’m angrier, less patient and therefore the kids just act up even more. Think of yourself not so much as the “police” but as a “consultant” who will help her figure out ways to behave more appropriately. So for instance, let’s say she stood on the table, spat her milk and threw her food on the table. Instead of saying, “If you don’t stop that right now, you’re going to room without any dinner!” you could say, “Looks like you’re not ready to sit at the table yet. Let me know when you’re ready to eat at the table. In the meantime, you can stay in your room until you’re ready.” You’ll want to say this calmly, without threats or anger, almost like you’re just saying a fact. Think of it as her problem, not yours—don’t make it your problem or take it personally. And it seems like she’s testing you, especially those days when she realizes she’s having fun and seems to want to disrupt that. It’s normal, but definitely not pleasant. It’s important to set those boundaries she needs, and follow through with them. If she refuses to clean up her toys and you said that means she’s not responsible enough yet to take care of them and will remove them, then you need to remove them and put them away where she can’t get them for, say, the rest of the day. She needs to know you’re going to hold your ground, not because you’re the boss or the adult, but because doing so will help her learn her boundaries. Again, the point isn’t to establish a police-type of relationship, but one where you’re both on the same side trying to help her reach her goal. Think of yourself as the teacher and she the student. A teacher wouldn’t try to “win” or best the student, she wants the student to succeed and will help her do that. Thank you for your wonderful article! Something I’m starting to struggle with is the taking that moment for one on one discipline with my 19 month old twins. When one does something wrong, by the time I take their hand and lead them away the other one is right behind me doing the same thing. I find myself just saying ‘No!’ constantly and running around crazy trying to get them to listen. They also like to smile and run away…in opposite directions. On top of that I have a very strong willed 4 year old who takes a lot of my patience. Hi Tiffany! It’s definitely a struggle when there are two of them. I sometimes feel like a ping pong ball bouncing between the two. One thing that might help is to not show your frantic side. Kids get a kick when their actions incite such a reaction from us. Instead, act like you’ve got this under control, that they can’t pull one over you. I would also follow through with any consequences you give, and give consequences based on their behavior. For instance, if they keep running in opposite directions at the park, let them know that you’ll have to take a break from going to the park again since they can’t behave correctly. Twins one boy one girl 3 years old, play off each others emotions to get to me, will not listen even when I take myself to their level, way different with father who is strict rather than with me alone, two totally different personalities. Sorry to hear that Nicole! It sounds like you may need to hold your ground with your twins more. You don’t have to be “cold,” but you do have to follow through with consequences, even if they disagree or throw a fit. These are great suggestions! I have an almost three year old and 1 year old. The thought of two toddlers is going to be interesting! What I need to work on is follow through on consequences for sure. Giving choices and warnings usually does the trick, but at bedtime it usually gets at a more extreme when he’s trying to avoid bedtime! Thanks, Shantall! And yes, as the day gets longer, the less our patience is. It’s so hard to follow through but definitely effective in the long run. How can I go about printing this and some of your other posts off as references for parents? I just added a “printer friendly” button you can click 🙂 It’s on the right side on the page, right below the social media share buttons. Hope that helps! Excellent tips, Deborah! And yes, it’s so often when parents are tired or frustrated that we lose our tempers. Kids also absolutely need to hear “no” and other boundaries as well! It’s so true kids don’t defied to make you angry they do it because they genuinely feel upset about something . and I also think that when you come down to a child’s level theyre more comfortable and you seem more trustworthy and approachable. Love to have found another blog which practices respectful parenting. Exactly, Kay! Glad the blog can come as a handy resource for you. My son is 1, but I know he understands more than most people think. Lately he has started biting other kids, which he doesn’t mean any harm by or even know that it’s not ok. However for the future when he’s a little older, this is a fantastic, detailed guide to working through defiance, and I’m pinning this to refer to later. Thanks for sharing! There are a lot of good tips here, but I do not agree with giving your toddler a reason for saying no. It’s not always a bad thing, but if you do it constantly your child will expect it all the time, even if you don’t have time to explain. Furthermore, as your child gets older your are giving him an opportunity to argue with you. And you aren’t going to win every argument! In fact, often children refuse to see good reasoning. They often don’t care as long as they get their way. And if you “lose” the argument, you either let them get their way, or you force them to comply and you become the “mean mom” anyway. In fact, they will probably feel even more wronged because they fought a battle and “won”, but it didn’t change the outcome. Giving a reason may help them see the”why” in simple issues, but it shouldn’t become a habit. Thank you for the advice about “finding your toddlers intentions.” I’ll be implementing that into my parenting! Thanks for your insights, LaShonna! I’m glad you were able to resonate with most of the tips, and respectfully disagree with those you didn’t. My issue is that my 15 month old son abuses me and completely ignores me at times as if he were deaf and blind… I try to swat him when he hits me and I’ve tried crying when he is abusive… When I swat him he comes back with hitting me back and when I’ve cried about it he gets all sweet and kisses me then he sees I’m okay then he will swat at me again. He won’t listen to just about everything he’s told and I’m all over the internet search engines for help … Please help me find a way to get through to him and the correct way to discipline him ?? I’m so sorry you’re going through this. The first thing I would say is that don’t retaliate by swatting him back when he hits you. Contain his arms so that he isn’t able to, and hold him in a warm embrace to calm him down if he lets you. Also, don’t cry yourself when he isn’t listening (I don’t know if I’d call it abusive), as this only tries to shame or guilt him into changing his behavior. If anything, tell him how his behavior makes you feel, but not because you’re trying to elicit sympathy from him, but because you want to teach him how to have empathy for others. My son is 15 months old and isn’t talking yet but he understands well. He has this horrible habit of hitting and grabbing faces. Especially during diaper changes. If he has a messy diaper I have my husband distract him and if needed hold his legs so I get get it all clean. He vivaciously grabs my husbands face. My husband spanks him after explaining that we don’t hurt people and that’s why he’s getting a spanking. I don’t agree with spanking to explain that we don’t hurt people. It’s hipocritical. But we do t know what else to do. Hi Brittany! At my son’s then-15-month appointment, I was mortified when he went crazy and wasn’t compliant at all when our pediatrician was doing her best to try to examine him. She reassured me though that especially between 15-months and 24-months, toddlers are developing a sense of space and particularly don’t like to be handled, including for diaper changes, which he was also resisting at home. So you’re definitely not alone! As far as spanking, I too don’t spank for many reasons, including the one you mentioned. Also, it’s a short-term “solution” that doesn’t provide an opportunity for him to learn how to behave, and it relies on fear of punishment and anger to work (which, over time, will stop working and forcing you to get angrier or raising the ante). I think it’s good you guys explain why we don’t hurt, but spanking isn’t necessary to have this conversation. In fact, it’s best to have this convo once he’s calm, since he can’t listen or process anything when he’s throwing a fit (it’s similar to trying to talk logic to someone with road rage). The best things I found to work was to change him on the floor so you can have a better handle of him without having to worry about him falling, and get everything as ready as possible (such as having the diaper opened, the wipes out of the package, the trash open, etc). Then if need be, distract him with a new-ish item, like a toy he hasn’t seen in a while, or singing a song, talking to him, asking him questions. I’d also make sure that you’re calm to begin with and don’t lose your temper when he starts acting up, as he’ll pick up on it and retaliate with even more resistance. Hi Heather! Thanks so much for your comment. That’s interesting that it seems easier to raise your grandson than your own kids, and I can see why. You have more experience, and there seems to be less stress. As far as his speech, it’s totally understandable that he would cry if he can’t communicate something, especially when he knows exactly what to say but can’t say it just yet. It’s like us going to a foreign country and not knowing how to speak the language. I would actually reach out to his pediatrician so he or she can recommend local resources you might benefit from. I know ours had recommended speech therapy when my son wasn’t saying enough words yet at a certain age, and it’s easier to “fix” the problem the younger you start. And it might not even be anything, like the case with my son—we didn’t even get to start any programs because by the next appointment he had said enough words and now talks all the time. But it’s still worth a shot to get it checked out. Great article! Thanks for the identification of our behavior as adults that may result in further misbehavior by our children as well as methods to help encourage wanted behavior and growth. Thanks, Nicole! I truly believe we need to start with and change ourselves first before even thinking about “fixing” our kids. Hi Dash! It definitely does sound like a challenge dealing with that kind of behavior. It sounds like the first thing to do is to put your foot down and hold your ground, making sure to follow through with what you said you would. This doesn’t mean you have to be “mean” about it, in fact, that just makes it worse. But you can definitely keep your word while staying calm and collected, so that they have the boundaries they need. As far as coming to the table, I find routines to work well. Have dinner at the same time every night so you don’t even have to “nag” them to come. – Set your child up to succeed. For example, to encourage putting toys away, start by keeping the environment simple. Rotate toys, keeping out only a limited number, and have clearly marked places for them to be put away. – Model good behavior for your child. Let them see you treating your own things with respect, and their toys as well. – Catch them being good! Keeping a positive mindset yourself may be the most important thing you can do to encourage good behavior. Well said, Mark! Completely agree with you on all three points, especially the first. It’s so tempting to cast blame on the kids when they don’t listen, but a huge part of that is whether we’ve created an environment for them to do so. And I’m a big fan of praising positive behavior—I find it way more effective than having to correct them. Thanks so much for sharing your thoughts! I have 3 boys, (9,6,3) the oldest has asburgers and my 6yr old is mildly autistic and for the most part non verbal. My 9 yr old has been deliberately distorting the few words my non verbal is learning and is replacing words with random noises and grunting. We have sat down together and talked about the importance of his sibling learning to speak and communicate. We have talked and he said he was very jealous of his non verbal brother and that he doesn’t want his brother to ever talk so he deliberately tries to sabotage everything that we and his speech therapist has been working hard to do. We live in a small home and the 2 older boys shared a room so while he was at a friends house we switched up the room so the my oldest could have his own space, we let him decorate it. I put the 2 younger siblings to bed early and allow him to stay up and extra 30 mins at night and try to spend as much time as I can with him. Nothing that we have tried seems to help. He STILL. Deliberately tries to keep his nonverbal brother from learning to talk. We have sat and talked more times than I can count. It’s a daily struggle and I’m beginning to feel that my non verbal son will never be able to to talk. I don’t know where to go. We have tried talking to him, tried spending more time with him,tried taking away prized possessions, tried time out, we have tried firm calm reminders during the day and absolutely nothing works. Should we just give up and let him teach his brother to grunt instead of talk? Not acknowledge the issue? I’m so tired to trying that I’m at the point where I just don’t care anymore. I know I shouldn’t feel that way but honestly I don’t think no matter how nice or stern or empathetic to his feelings I am it all of no use. I guess I’ll have to admit defeat and come to terms that 2 of my 3 sons will grow up grunting instead of talking and never have a job move out on there own or get married or have meaningful friendships in life. So tired to this battle that I can’t win. My son is 19 months old. (He will be two in May.) Everyday all day long I find myself yelling at him to either do something or to stop doing something or touching something; that he knows he’s not supposed to do or touch. I have a friend that said he is doing it for attention, but i am a stay at home mom and he’s an only child so far; so he has my attention all day. Sometimes he is good about helping pick up his toys and clean up, but other times he refuses too and throws a tantrum. He is always in to something and throwing stuff. You have to stay on your toes to keep up with him. I myself struggle with mild ptsd, major depression and anxiety. So finding something that can not only help me have more patients, keep from getting quick to anger and having to yell at my son; but that also gets him to listen better and understand what I am telling him, has really been a struggle. I am really looking forward to trying this out! Hopefully this helps me and him understand one another better! Hi Katlin! It’s definitely frustrating when kids don’t listen, on top of all the hassles and challenges we’re already going through. I’m so glad you’re eager to try these techniques, because that already says so much about you and your willingness to change and improve. As far as what your friends say about needing attention, I do think you ARE giving him attention, but perhaps what’s happening here is that he also realizes he gets your attention when he gets you riled up. He’s seeing that these “Let me do this and then Mom will react” instances are becoming the norm, and a simple way to get a rise out of you. I think the more nonchalant, matter-of-fact, and collected and calm your responses are (as opposed to just reacting), then the less he’ll feel compelled to do things to get a reaction. It’ll also help if you stay consistent with the consequences, whether that’s talking to him about what’s appropriate or leaving a place because he’s misbehaving, then the more he knows you’re not messing around and will stick to your word. Either way, let me know how it goes! I’d love to hear your results.